A significant amount of the water that's entering your basement can be prevented simply by properly taking care of the drainage system outside of your home. Properly maintaining your gutters, grading your soil so that it slopes away from the house, and extending your downspouts can prevent hundreds of gallons of water from seeping into the soil around your foundation. Similarly, the best basement waterproofing system in the world cannot help you if your sump pump's discharge line is clogged with ice or debris. 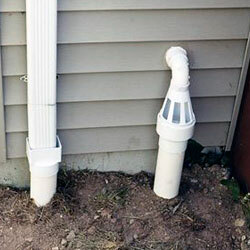 Protecting that line will help keep your system from backing up -- helping your basement stay dry. Let us help you transform your basement into dry, usable space! Our locally owned and operated dealerships are located throughout Canada, the United State, and the United Kingdom. To schedule a free, no-obligation basement waterproofing quote, contact us by phone or e-mail today! At Basement Systems, we have some simple, inexpensive products that will help you make the most of your outdoor drainage. By keeping water out of your basement, you save on wear and tear on your sump pump system and help to protect your basement from overwhelming water volumes. A one-inch rain will drop about 500 gallons of water on an average-sized roof. 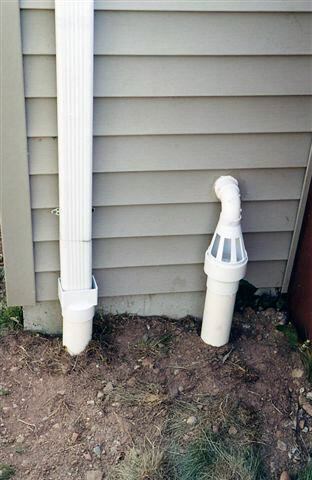 If your gutter's downspouts are dropping this water directly in the ground around your foundation, much of that water will end up around your home's foundation. 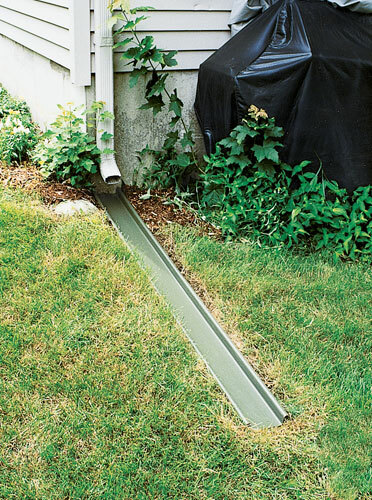 Our RainChute® and RainChute EZ® are a fast, easy way to extend your gutter's downspouts past the soil around your foundation, sending it downhill and away from your home, keeping away thousands of gallons of water! The RainChute® features a recessed design that eliminates any tripping hazard and can be passed over with a lawn more with ease. No one wants a big white discharge line in their yard. 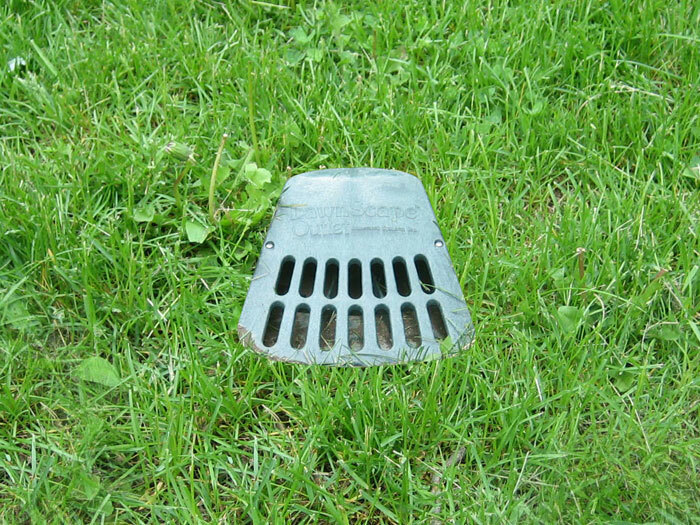 It's ugly, it's an obstacle for your lawn mower, and it creates a tripping hazard in your yard. At Basement Systems, we bury the discharge line, carefully replacing removed grass afterwards for an almost-invisible installation. 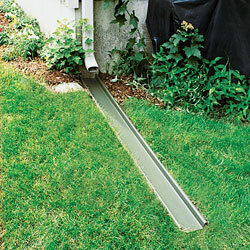 At the end of each discharge line, we install a LawnScape™™ Discharge Line Outlet. 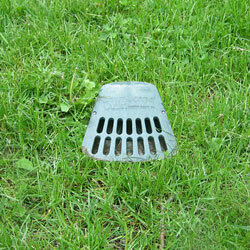 Its grated opening will help to prevent clogs, while its durable, subtle design can be walked on, or even run over with a lawn mower without any issue. The lid may be removed for easy cleaning of your system. Even partially clogged discharge lines can cause strain on a sump pump system, which will have to work harder to push water through the narrowed opening. To prevent early sump pump failures, as well as flooding from completely clogged lines, an alternative exit point is needed for your system. Out IceGuard® system is a grated plastic opening that's installed just outside of your home. If your sump discharge line freezes or clogs, the water will exit through this point instead. Your system is prevented from backing up, and your basement remains dry! Basement Systems Provides Intelligent Waterproofing Systems! When it comes to basement waterproofing, our experts here at Basement Systems have thought of it all! That's because we've been waterproofing basements for more than 20 years -- since we first opened our doors for business in 1987! 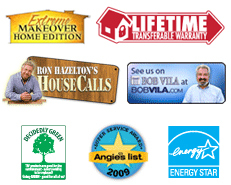 Join the hundreds of thousands of happy customers who've had their basements waterproofed by our certified dealers! To schedule a basement waterproofing quote at no cost or obligation to you, contact us by phone or e-mail today! We'll even send along a full-color copy of our basement waterproofing book! Our locally owned and operated Basement Systems Dealers operate throughout the United States, Canada, and the United Kingdom. We look forward to working with you!